Jacqueline loves to teach in quilt stores, but also for your enthusiastic Quilt Guild. Jacqueline is always willing to share her knowledge, tips and tricks to improve the paper piecing techniques and to show that the BeColourful patterns are really not that hard to make, once you got the right tools! ​Let us know if you are interested to have Jacqueline teaching in your store or your Quilt Guild by e-mailing us at missbecolourful@gmail.com. 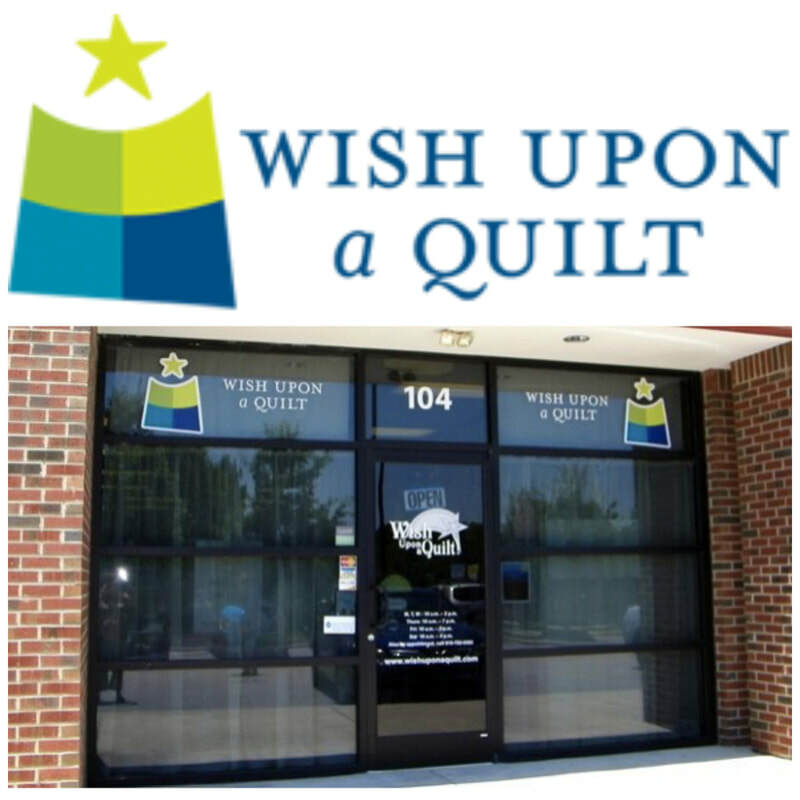 We always make a teaching schedule to combine as many classes as possible in the same locations and we would be very happy to include your store or Quilt Guild in this schedule! Jacqueline loves to teach and she will teach as much classes as she can while she's in the USA. However, the USA is quite a large part of the world and for that reason we have two very talented Authorized Teachers to help her. These two lovely ladies are Lisa McCarthy and Megan Hollingshead and both of our friends are very well qualified to teach every level. These two ladies both have there own teaching schedule. And also in Canada we have very talented teachers: Anne Hall, Maureen Wood and Melanie MacDonald. You always can contact the ladies for classes in your store or guild. Jacqueline has already taught in many stores throughout the United States, Canada, The United Kingdom, Sweden, Denmark, The Netherlands and Australia, and we are more than happy to give you some contact details if you are looking for references! ​Treat yourself to the best! Jacqueline de Jonge loves color, movement, and teaching. Jacqueline will be joining us from the Netherlands to share her unique approach to paper piecing gorgeous quilts. The quilts looks complicated but with Jacqueline unique way of teaching will show you how to make these quilt with confidence. 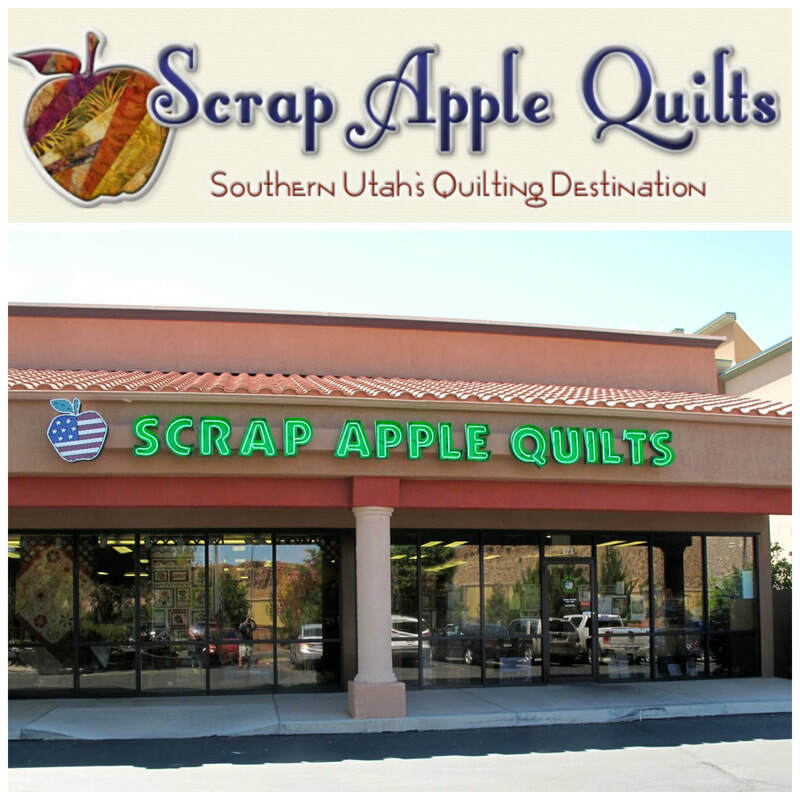 ​We're super excited to announce Jacqueline will be teaching a 3-day Masterclass at Scrap Apple quilts in March this year! Jacqueline’s unique style and use of bright colors are loved by many and her classes are always in high demand. Three days of fun and laughter and of course lots of sewing! Together with Jacqueline as your teacher, you will learn all the techniques of a BeColourful Quilt. Treat yourself to the best and sign up today! 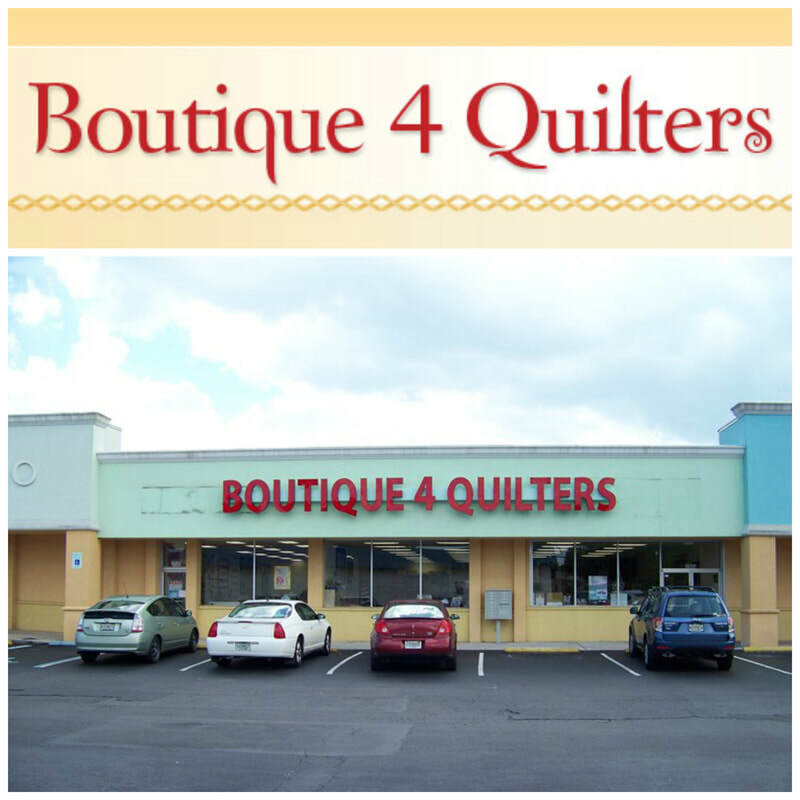 Jacqueline will be teaching several classes at "The Quilt Crossing", in Boise, Idaho. Join one of her awesome classes, and have fun making a BeColourful quilt! Designer and Master Quilter, Jacqueline de Jonge, will be joining us all the way from the Netherlands! Jacqueline’s unique style and use of bright colors are loved by many and her classes are always in high demand. She is the founder and owner of BeColourful Quilts and we are very honored to have her visit us here in New England! Space is VERY limited (20 Students max) for this retreat. Passion4quilting is delighted to welcome once again International teacher Jacqueline de Jonge to Leicester to teach a four day workshop. On this workshop you can make either Arabian Nights, Summer Breeze, Enchanting stars or if you have experience and have been on a course before Infinity (if you are considering Infinity you really have to have all pieces made up before you come as the art in this quilt is putting it together). Our small workshops mean you do not have to jostle for attention. The workshop is for 4 days from 9.30am to to 4.30pm Lunch is included. Quilters can be intimidated when they see the curves and circles in the BeColourful designs. If that is the case…. why not treat yourself to this class? Jacqueline loves to share her enthusiasm for her designs and bring you to a higher level. Each class day should be nice and relaxed for you and your fellow quilters. Broaden your knowledge, learn new techniques, play with beautiful Rainbow colors and be more confident that something which appears to difficult is within your reach. Sign up quickly because space is limited! Always dreamed about making one of the BeColourful designs, but never found the courage to start one? Or you found yourself a little intimidated with all the curves and circles in the BeColourful patterns? I have good news for you: This 3-day retreat is all about learning the techniques Jacqueline uses in all of her designs from scratch. There's no better way to learn from the best! Sign up ASAP because the places are limited. We are delighted to welcome once again International teacher Jacqueline de Jonge to Raleigh to teach a two 3-day classes. This is your chance to meet Jacqueline and get to know her. Let her teach you all of her tips and tricks and learn from the best. You won't regret any second of it. We will select a few of the most popular patterns to work on and this information will follow. Sign up now before you're too late. A wonderful quilt retreat at a stunning location with breathtaking views. Embrace yourself with luxery in comfortable rooms, while you will be taught all the BeColourful techniques by the Queen of Colors herself. If that's not enough, 6 days with your quilt friends will be a vacation for you and you'll meet other friends. Do I need to say more? Sign up today and don't miss out on this great retreat! Another wonderful quilt retreat at a stunning location with breathtaking views. Treat yourself to the best! Jacqueline de Jonge loves color, movement, and teaching. Jacqueline will be joining us from the Netherlands to share her unique approach to paper piecing gorgeous quilts. She will offer a choice of several of her incredible designs. Kits will be offered. Choose from 2-day: 13th and 14th July, 3-day: 15th, 16th and 17th July, or just sign up for a 5-day session. Each allows a different set of pattern choices. Some paper piecing experience is needed. ​These are not beginner classes. Patterns are rated in difficulty from 2 (beginner) to 6 (advanced). Classes run from 9:30 am - 4:30 pm. Late sewing is available until 9 pm each night except Saturday. Early sewing is also available. Late shopping at Batiks Etcetera & Sew What Fabrics will also be available. Optional box lunches will be offered. Choose from 2-day: 19th and 20th July, 3-day: 21st-23rd July, or sign up for a full 5 day session. Each allows a different set of pattern choices. Some paper piecing experience is needed. These are not beginner classes. Patterns are rated in difficulty from 2 (beginner) to 6 (advanced). Jacqueline's first time at our store! Jacqueline will be teaching a three day class. Wouldn't it be great to join her in this wonderful class? Learn to paper piece from the best and get lots of inside tips and tricks to improve your techniques. Don't wait too long to sign up for this class! Jacqueline will be back at MISA! 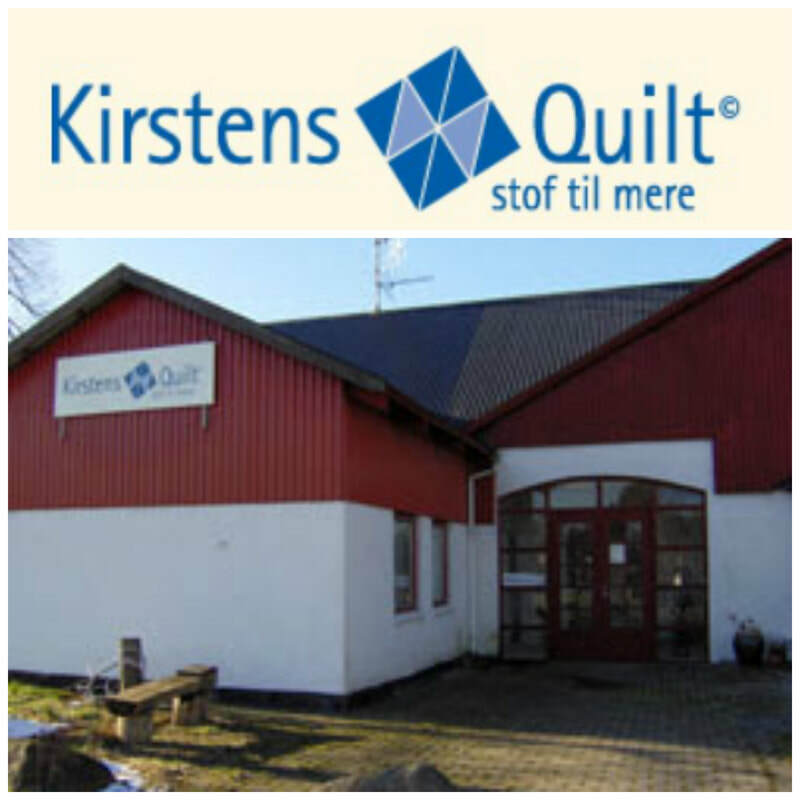 After the great succes from last year Jacqueline will be teaching a 5-day quilt retreat! More info about the projects will follow. 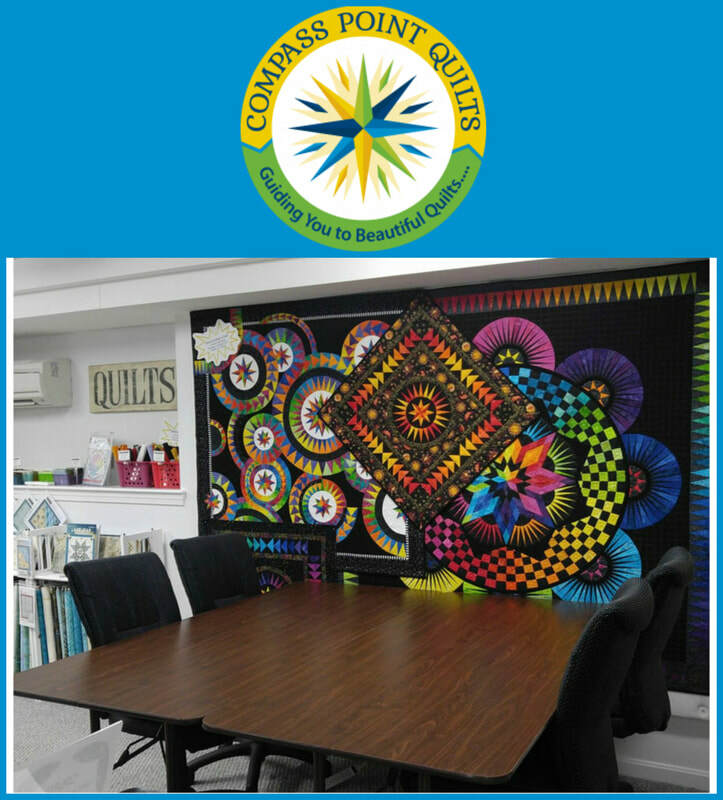 In a very short amount of time our school has become a top destination for quilters around the country, and we are known for our convenient on-campus lodging and amazing light-filled, large studios specifically built for the needs of artists. Jacqueline de Jonge will be back joining us from the Netherlands to share her unique approach to paper piecing gorgeous quilts. Always wanted to take a class with Jacqueline? This is your chance! Making your own Something Blue or Infinity with Jacqueline to help and support you. Learn to make those arches, curves and stars. And learn all about the colors you'll choose for your project. Jacqueline loves teaching and will be offering several classes from beginner to advanced! These classes will run August 18-20 and August 21-23 from 9:30am - 4:30pm with late night sewing on some evenings. Don't wait too long to sign up! Jacqueline will be back, joining us all the way from the Netherlands! We will offer you this 4 day quilt retreat on which you are more than welcome! I invite you to take a sneak peek at the website of The Quilt Foundry and join the fun in 2019! Jacqueline de Jonge, will be joining us all the way from the Netherlands! You will learn lots of tips and tricks to make paper piecing joy-able and easy. This is your chance to attend one of Jacqueline's classes, so why not sign up today! After a very successful retreat at Madeline Island in 2018, Jacqueline is back in the West! Teaching a Masterclass for 5 whole days at a stunning location: Tanque Verde Ranch Tuscon, Arizona. Learn from the best and get all the tips and tricks from Jacqueline herself. Do you want to join Jacqueline in this awesome class? ​A wonderful quilt retreat in Las Vegas. Three days of fun and happiness. Together with Jacqueline as your teacher, you will learn all the techniques of a BeColourful Quilt. Get all tips and tricks by the Queen of Color herself and improve your paper piecing skills! We'll let you know what pattern will be chosen. So stay tuned! Quilters can be intimidated when they see the curves and circles in my BeColourful designs. If that is the case…. why not treat yourself to a BeColourful class? I love to share my enthusiasm for my designs and bring you to a higher level. Each class day should be nice and relaxed for you and your fellow quilters. ​Jacqueline is coming back to teach! 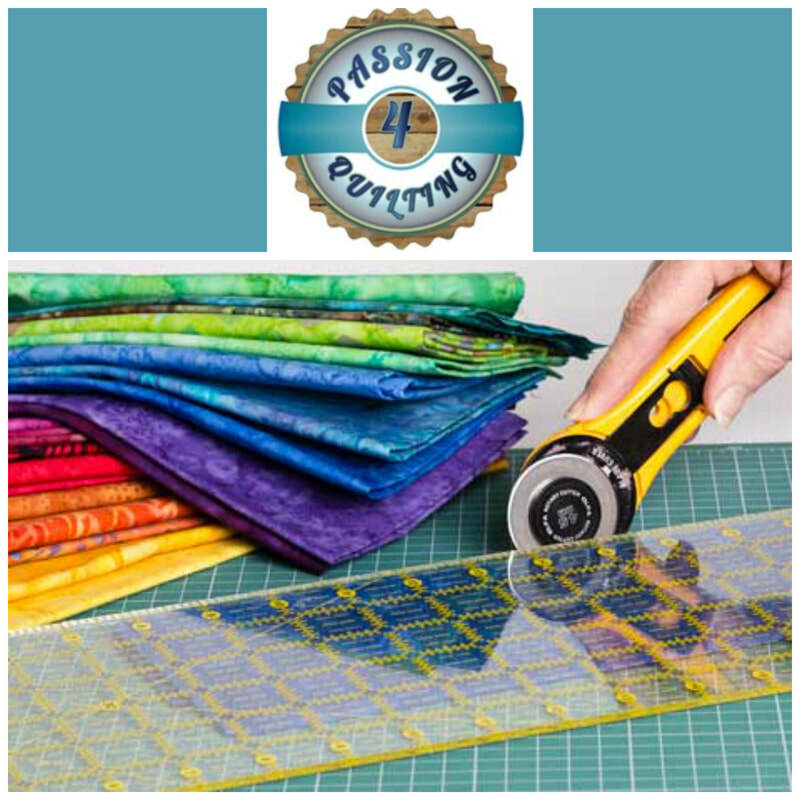 4 days of sewing, quilting and fun with your quilt friends. Your workshop fee includes the lunch each day, snacks each afternoon, coffee, tea, and water, as well as personal instruction from the highly skilled Jacqueline de Jonge! Learn her no waste paper piecing method, and precision pinning to make your very own 'Be Colourful' quilt! Learn from the best and get all the tips and tricks from Jacqueline herself in 2 three-day masterclasses. You can do one class or come and treat yourself to a 6-day quilt retreat. 5 Days of sewing and quilting in beautiful British Columbia, Canada. 5 Days of classes taught by the Queen of Colors herself. Learning from the best, get all kind of tips and tricks to improve your paper piecing skills. 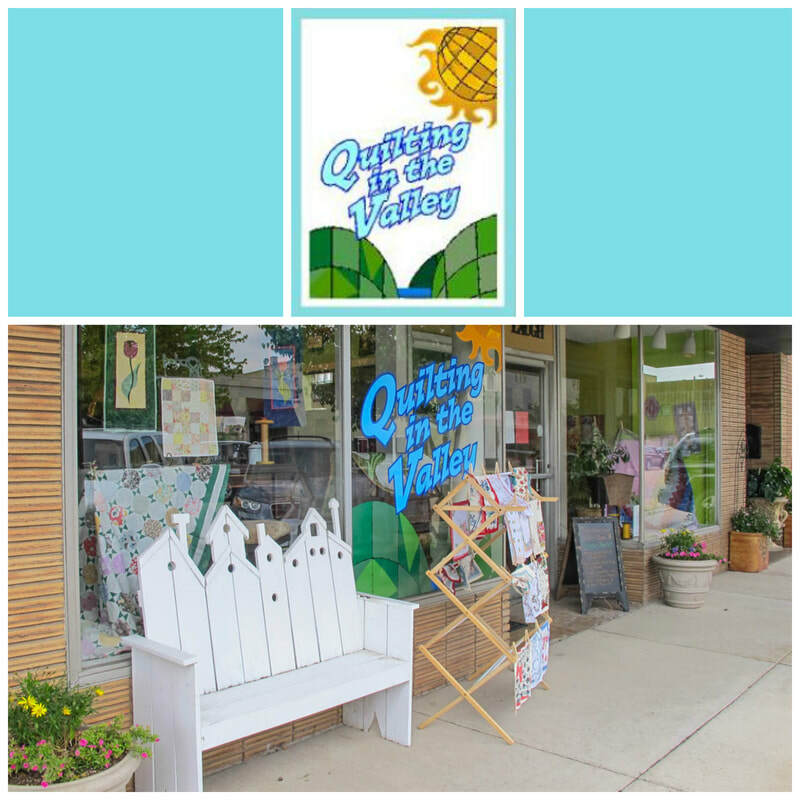 Jacqueline's first time at the Quilt Store in Newmarket, Ontario, Canada! I invite you to take a sneak peek at the website of The Quilt Foundry and join the fun in 2020! Each allows a different set of pattern choices. Some paper piecing experience is needed. These are not beginner classes. Patterns are rated in difficulty from 2 (beginner) to 6 (advanced). One other note, we are in a 100 year old building with no elevator, we will provide help toting machines and supplies upstairs. This class is filling up quickly so be sure you're in it! A wonderful quilt retreat in Las Vegas. Three days of fun and happiness. We're super excited to announce Jacqueline will be teaching a 3-day Masterclass at Cottonwood Quilters in August! We are delighted to welcome once again International teacher Jacqueline de Jonge to Maumee, OH to teach a 4-day Quilt Retreat. ​Designer and Master Quilter, Jacqueline de Jonge, will be joining us all the way from the Netherlands! A wonderful quilt retreat in Pensacola, FL. Three days of fun and happiness. Jacqueline de Jonge loves color, movement, and teaching. Jacqueline will be joining us from the Netherlands to share her unique approach to paper piecing gorgeous quilts. She will offer a choice of several of her incredible designs. You know you want to be there, so secure your spot now!